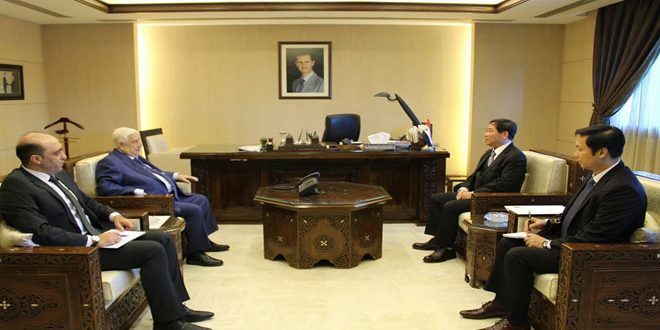 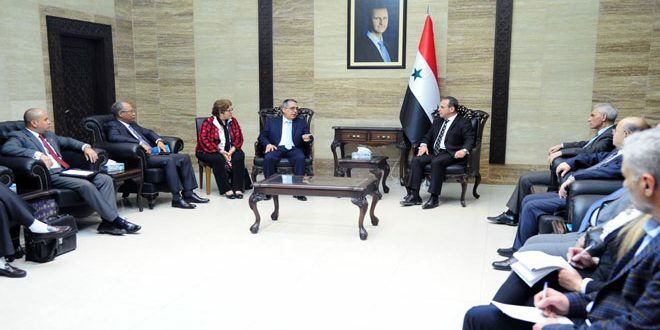 Damascus, SANA- Health Minister Nizar Yazigi discussed with First Deputy Minister of Foreign Affairs of the Republic of Cuba Marcelino Medina technology transfer of vaccine production from Cuba to Syria. 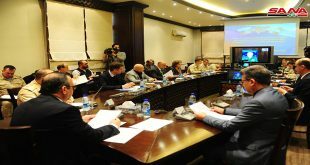 During a meeting on Wednesday, Yazigi said that the Ministry has prepared a draft memorandum of understanding on technology transfer related to vaccine production to Syria which allows establishing a Syrian-Cuban joint production line aiming at the exportation of vaccines to countries all over the world. 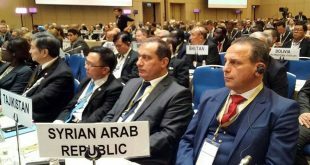 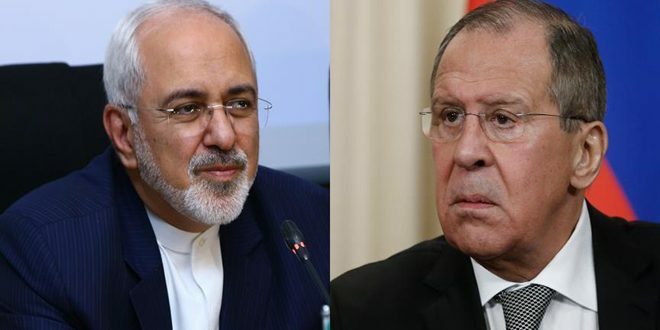 He pointed out that the two sides are preparing a draft memorandum of understanding on regulating the importation of Cuban medicines, expressing Syria’s readiness to facilitate the necessary procedures in order to enhance cooperation between the two countries. 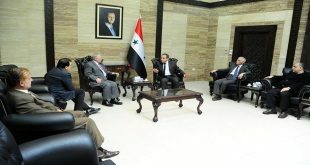 Medina, in turn, said that Cuba will continue providing Syria with medicines. 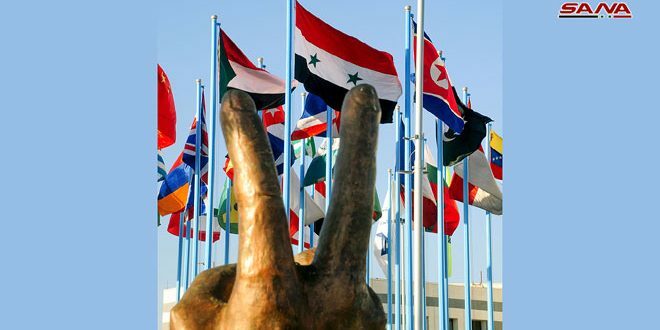 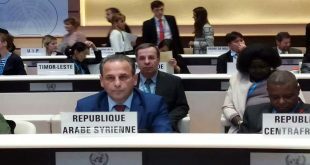 The Cuban official also affirmed his country’s determination to cooperate with Syria in various fields especially health, scientific and pharmaceutical fields, noting that Cuba has granted five additional scholarships to Syrian students.